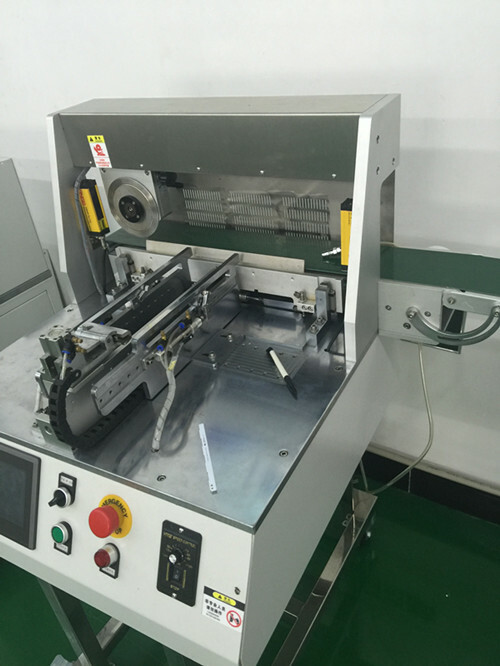 Take the knife cutting board machine (plus conveyor belt), similar to the machine are: take the knife PCB Cutter Machine, that is just not the same as the installation of a conveyor belt YSV-2L can be diced PCB board transferred to the pipeline. The cutting machine tool path selection, small stress, do not know the knife plate moving, to prevent the occurrence of damage circuit boards, tin bifida scene for cutting work of various PCB circuit board. Suitable for cutting glass fiber raw materials and raw material hardness similar PCB board.